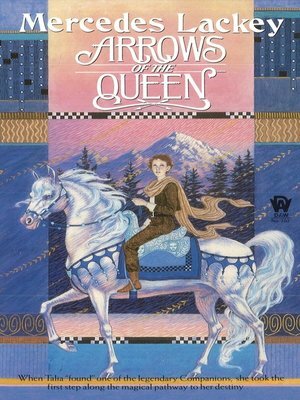 Chosen by the Companion Rolan, a mystical horse-like being with powers beyond imagining, Talia, once a runaway, has now become a trainee Herald, destined to become one of the Queen's own elite guard. For Talia has certain awakening talents of the mind that only a Companion like Rolan can truly sense. But as Talia struggles to master her unique abilities, time is running out. For conspiracy is brewing in Valdemar, a deadly treason that could destroy Queen and kingdom. Opposed by unknown enemies capable of both diabolical magic and treacherous assassination, the Queen must turn to Talia and the Heralds for aid in protecting the realm and insuring the future of the Queen's heir, a child already in danger of becoming bespelled by the Queen's own foes.